Being able to insert wordpress contents, images and shortcodes are one of the best handy features you can utilize by the use of this amazing plugin. 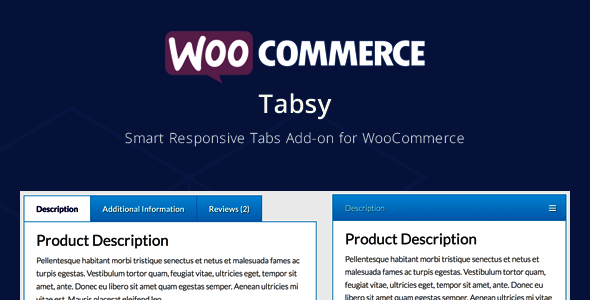 Turn the default WooCommerce tabs to smart responsive in just a seconds, just activate the plugins and the tabs will automatically upgraded! 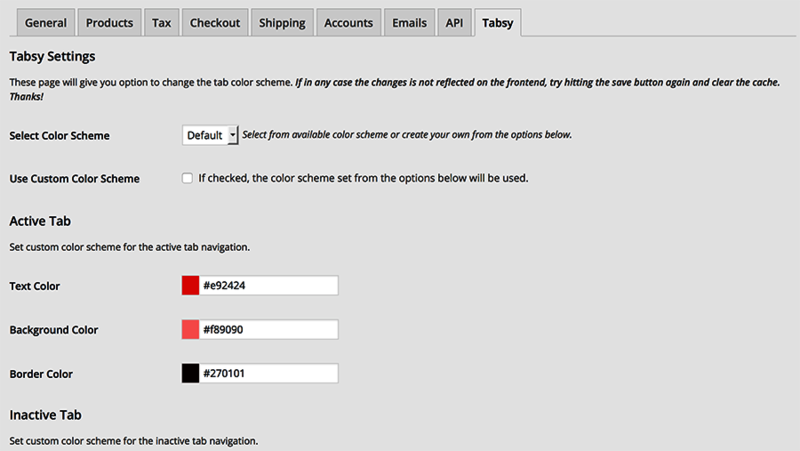 Change the styling easily via colorpicker options to match the theme color scheme and yes! there are predefined color scheme to choose from. Upgrade your tabs now!